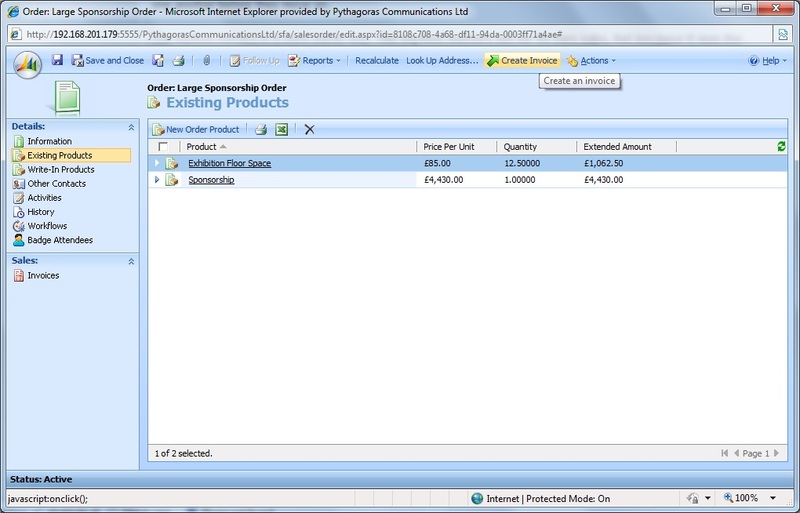 MSCRM has the concept of creating a new Invoice from an Order to implement the final step in the Sales Ordering Process – and by creating a new Invoice from an Order prompts MSCRM to copy all the Order Lines associated to the Invoice as new Invoice Lines. This logic to create the Invoice Lines is managed by MSCRM’s default business logic which gives the Execution Flow outlined above a crucial difference, the Invoice Line Create Messages are sent to the MSCRM Child Pipeline as opposed to the Parent Pipeline. This means the Tax Code Assignment Plugin registered above will not trigger and so no Tax Code would be assigned for any of the Invoice Lines resulting from the Order. – The CRM Web Service must be invoked in a different fashion when running from the Child Pipeline, see the linked Microsoft SDK Article for a full description. – Accessing the CRM Web Service when running a Plugin in the Child Pipeline is limited to Create, Delete, Update and RetrieveExchangeRate operations when running Synchronously. – Execution via the Child Pipeline must then generally speaking run Asynchronously, which can give execution pattern problems. Looking at this in regard of handling Tax Codes – firstly looking at the Plugin Logic to assign a Tax Code to an Invoice, the code must be amended to also function as a Post-Create Plugin running Asynchronously from the Child Pipeline. // of the create operation and that target is of type DynamicEntity. // Obtain the target business entity from the input parmameters. Crucially here – towards the end of the Plugin Logic the code must update the Invoice using the MSCRM Web Service rather than altering the Target Message, this being due to the Child Pipeline Plugin operating on the Post Create event as opposed to the Parent Pipeline Plugin operating on the Pre-Create event. Secondly, the earlier Plugin to assign a Tax Code for an Invoice Line must also be amended to support execution from a Post event in the Child Pipeline. This amendment shares many similarities to the code above for the Invoice assignement, however this gives a possible execution for this Plugin from either Pre-Create, Pre-Update or Post-Create and so possible drawing details from either the Target Message, PreImage or PostImage. This Plugin would then be registered against the Post-Create event of the Invoice Detail entity working Asynchronously in the Child Pipeline. 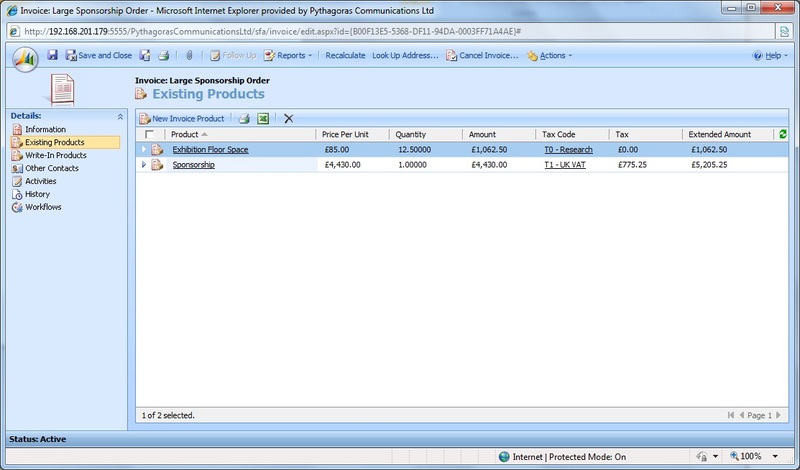 This then gives MSCRM a full system for handling a number of Tax Codes derived from the Product involved with the Invoice Line and/or the Customer involved with the Invoice. As described at the beginning of these posts, this is a curious example of bringing some financial logic into MSCRM which may or may not be the right step depending on the wider solution for CRM/ERP involved – however this does also give a good example of using the Child Pipeline in MSCRM and the various difficulties this can present.